If you're new to programming computers or have never written a generative art piece before, you are the audience for this post! 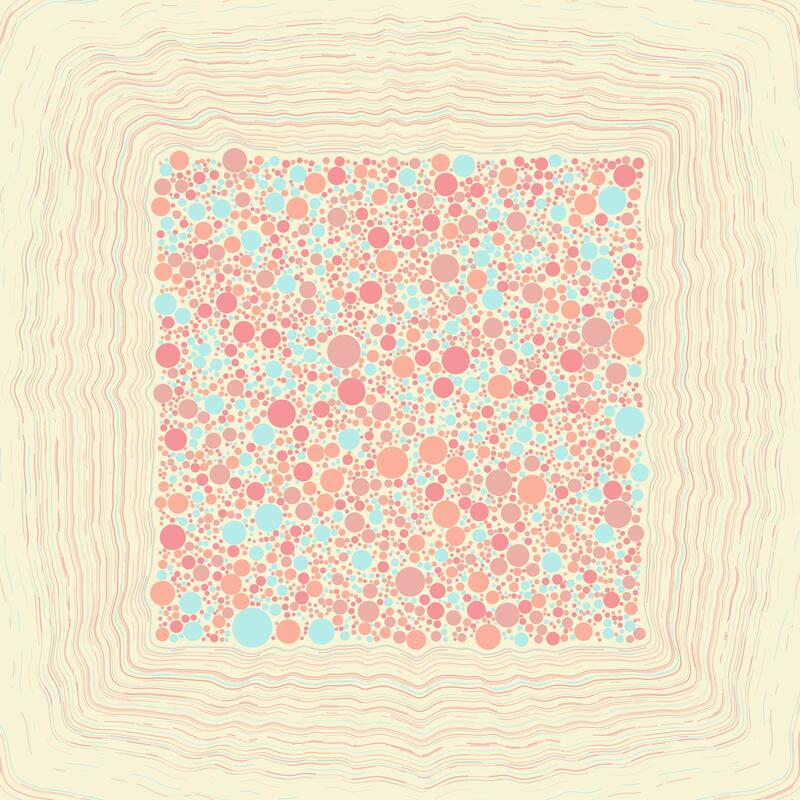 In it we'll explore a classic and simple alogorithm in generative art called "Circle Packing". Before we start I'd like to cover some background on generative art generally. When working on generative art, we work on a system that generates the art rather than the art itself. If you are coming from a manual medium such as painting the first thing you're likely to notice is how mutable it is as a medium. It's orders easier to completely change the output of a generative system than to pull out a new canvas and start a painting from scratch every time a new idea occurs to you. It naturally lends itself to exploring, and it is totally ok to sit down to work without knowing exactly what you're going for because you can find it along the way. Over time generative artists tend to pursue systems that surprise them. Many consider the "Holy Grail" of generative art to be a system that consistently generates surprising, diverse, and interesting output. Not all generative artists write programs! Ella Gibbins creates a beautiful generative scenes by configuring liquids to interact and filming them. Linden Gledhill sets up chemical mixtures that can be influenced by magnets and photographs them. The history of generative art is rich and far older than programmable computers. However in this guide we will we write code. We'll work in Processing, because the body of beginner documents for it is prolific, and we'll use it in Python mode because that seems to be one of the languages people inevitably learn no matter their background or opinion on it. Congratulations! You've got your canvas and paints! Now it's time to sweat and make art. While following along it will be helpful to keep open the Python Processing reference, which has documentation for all of the functions we'll use or define. Start with an empty list of circles. 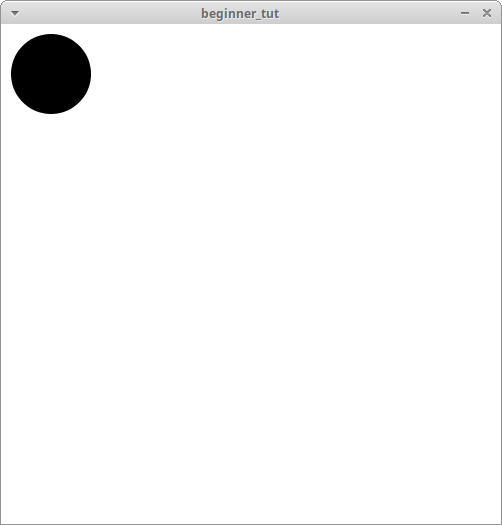 Generate a circle at a random point with a random size. 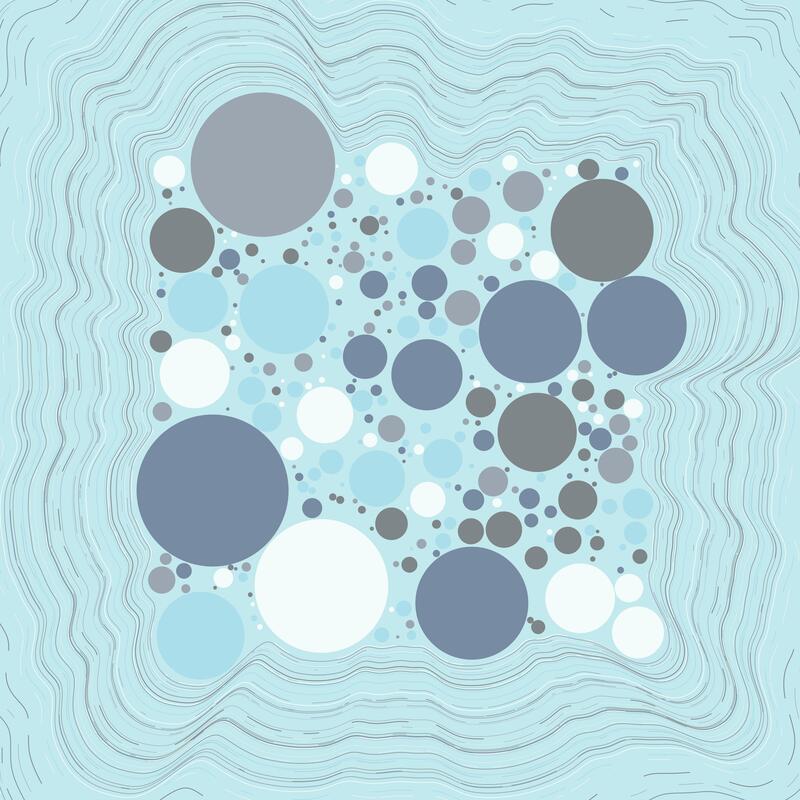 Check to see if it overlaps with any circles we've already generated. If the circle doesn't overlap, add it to our list of circles. Return to step 2; loop until we've made n attempts. Draw all the circles in our list. I'm going to define some classes for us to work with Points and Circles, expanding on them as we go. You can write or paste these definitions above the setup() function. Let's add some constructors to our Point and Circle class to get random instances using Processing's random function. It should look similar to this! Let's add two methods to our classes to find the distance between points and the distance between the edges of two circles. Now checking circles for overlap is simple as testing whether the distance is < 0. Now that we can generate random circles and test them for overlap with one another, we're ready to implement our algorithm we outlined earlier. # Create a candidate circle at a random point. Your output should look something like this! Try adding color to your circles. Checkout Manohar Vanga's procedural coloring tutorials. 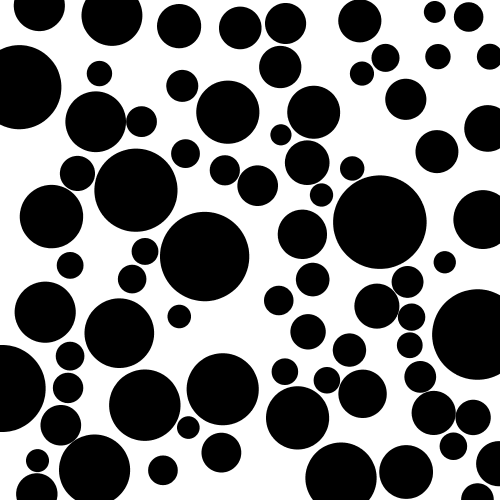 Try using noise to determine the size of the circles you generate. 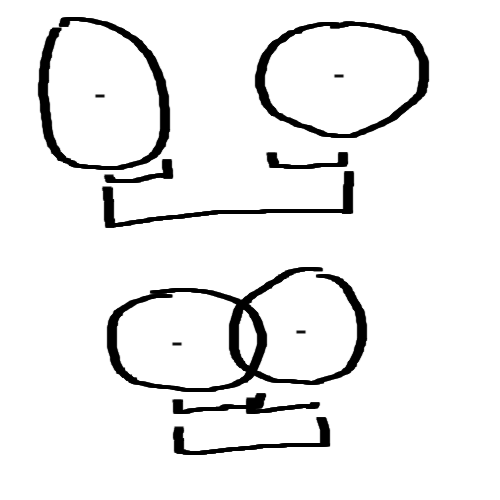 Try adding a margin between circles proporional to their size. What we've implemented is an N^2 solution to our problem since we need to compare every circle to every other circle. There is an Nlog(N) solution I cover in my post Packing Circles With QuadTrees if you would like to try it.